Investors who believe in delivery-based stock trade can buy Bharti Airtel counter for the target price of 520 in long-term perspective with a stop loss below 310, say experts . At a time when the majority of the equity market experts are betting high on correction at the Indian indices and global sentiments to seconding their views, market investors are watching the Dalal Street with fingers crossed as Lok Sabha elections in India are fast-approaching and its results would be crucial for the investments. However, there are some stocks that would remain bullish as their fundamentals and technicals are so strong that global cues and Lok Sabha polls won't have much effect on their bull run. Bharti Airtel is one such stock which is expected to touch around Rs 520 per stock in long-term perspective i.e. in around a year. A market investor who believes in delivery-based trade can think of stocking the Airtel counter for around 58 per cent return, say experts. Currently, the scrip is oscillating at around Rs 328 per stock levels. 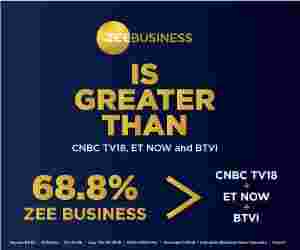 Giving an idea about the strong fundamentals of the Bharti Airtel counter Ravi Menon, Research Analyst at Elara Securities told Zee Business online, "Wireless broadband subscriber base reached 521.4 mn in January 2019, up 4.3 per cent M-o-M and 44.9 per cent Y-o-Y. Overall wireless broadband subscriber addition was 21.4mn in January 2019 vs 6.6mn in December 2018 and 15.2mn in January 2018. Bharti Airtel dominated broadband additions at 10.0 mn, leading for the first time since the launch of Reliance Jio (RJio, Not Listed) in September 2017. While some broadband additions for Bharti Airtel could be due to the bundling of broadband data with minimum monthly recharge, we still see this is an encouraging sign." On suggestion to the equity investors in regard to Bharti Airtel scrip Ravi Menon of Elara Securities said, "We reiterate our buy rating on Bharti Airtel with a target price of Rs 520 based on 6.5x FY21E EV/EBITDA i.e. in long-term perspective the counter is expected to show the target price mentioned above." Giving an idea about the technicals of the Bharti Airtel counter Simi Bhaumik, a SEBI registered technical equity analyst said, "Technically, the Bharti Airtel counter is strong and in short-term perspective i.e. in near one month the counter may show Rs 360-365 per stock levels. Breaching this level would mean further bull run into the stock in mid-term perspective with immediate resistance at around Rs 400 levels." However, Simi Bhaumik strongly recommended the market investors to maintain stop loss below Rs 310 levels citing, "The Bharati Airtel counter has strong support at around Rs 310-320 levels and investors taking buy position in the counter should maintain stop loss below Rs 310/stock levels."